This pioneering study of the indigenous philosophical tradition of Orissa which evolved between the 15th - 16th century CE brings into limelight the wonderful syncretism of Buddhism and Vaisnavism, traditions that are generally considered philosophical antithetical. 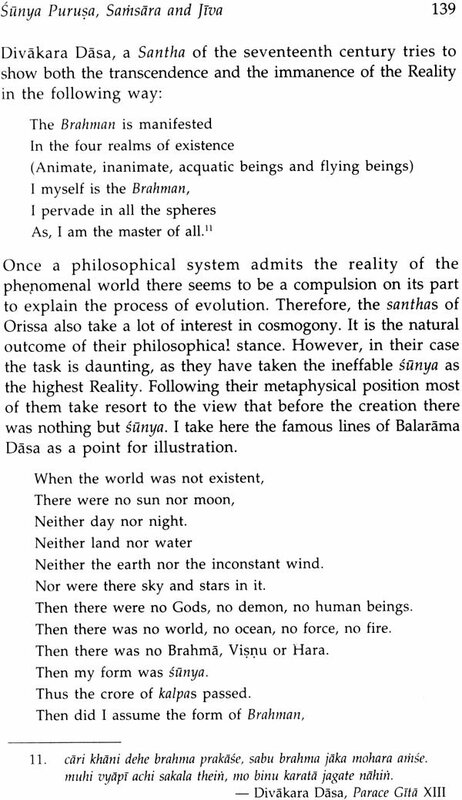 A deep metaphysical quest underlies the enquiries and analyses of this assimilative tradition and is epitomized in the works of the philosopher-poets of Orissa in the concept of the Sunya Purusa - the ineffable, indescribable and non-dual reality. This is a unique concept that encompasses within its fold the idea of Jagannatha (the Vaisnavite diety of Puri) as Sunya. The author explores the whole range of Indian philosophical heritage including Vaisnavism, Buddhism, Advaita Vedanta, Yoga, and Natha tradition to bring out the high points of this rare philosophical tradition. 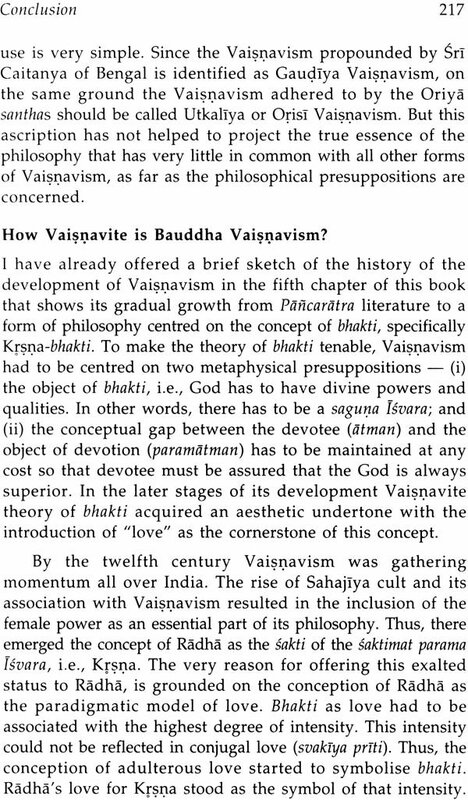 She, very competently, throws light on the philosophical theories / concepts of Bauddha Vaisnavism - Vaisnavic form but Buddhist in spirit. The book is a valuable guide on this distinctive Orissan Vaisnava tradition to all students and scholars of Indian religion and philosophy. Tandra Patnaik (b. 1947), the author of Sabda: A Study of Bhatrtrhari's Philosophy of Language, combines in her the scholarship of both Indian and Western Philosophy as well as deep study of Oriya Philosophical texts. Her interest in discovering the neglected and forgotten treasure of Indian philosophical culture finds outlet in the study of a rare medieval philosophical tradition that has so far been understood only as a form of bhakti literature. A researcher for more than 35 years, the author of four books on both Indian and Western philosophy, three edited volumes and numerous papers, Dr. Patnaik was nominated by the Human Resources Department, Ministry of Education, Government of India, as a member of the Indian council of Philosophical Research from 1995 - 1998. Currently she is a Professor and the Coordinator of the Department of Special Assistance in Philosophy, Utkal University, Bhubaneswar, India. Many of my fellow scholars may recoil at the idea of undertaking research in a subject dealing with a school of thought which can at best be described as a religio-philosophical doctrine. They have at their disposal every possible justification for a strong aversion towards anything that does not adhere to the conception of philosophy proper, handed down to us by a Western orientation. They may argue that philosophy being a pure rational activity cannot accommodate a bhakti-based system dealing with a specific cult-syncretism. Therefore, it is advisable that the job be better left to anthropologists or historians. This is what I propose to counter in this chapter. So the first thing I owe to my readers is justifying my position that the task I have undertaken is not entirely non-philosophical in nature. Fortunately for me I do not have to strain myself to prove my point. All the great names like Radhakrishnan, T.R.V. Murthy, B.K. Matilal, J.N. Mohanty, Daya Krishna, to name a few, must have faced this predicament convincing the Western world that Indian philosophy is neither pure soteriology nor religion, but a distinct brand of philosophy bearing its own stamp. They have stood by their own conviction that whatever is taken for philosophy in India need not be reduced to what the Western world labels as philosophy. I shall follow the path trodden by them while arguing that what we mean by philosophy in India need not be restricted to accredited systems like Nyaya, Samkhya or Vedanta. If this is the case then we willy-nilly admit that Indian philosophy comes to an abrupt end sometime by the end of the eleventh century. But philosophy in India never came to an end. It continued and will continue though the method of doing philosophy might fluctuate with the changes of clime and time. So I find nothing wrong about exploring this very rich religio-metaphysical tradition of India. In the first section of my introductory note I would like to focus on the typical nuances of what in general is known as Indian philosophy. In the second section I shall throw some light on a much-neglected philosophical tradition spearheaded by the santhas during thirteenth to eighteenth century. The first question that I must address is about the validity of discussing a metaphysics centering on soteriology and religion. We know pretty well that most Western academic philosophers love to nurture the belief that there cannot be anything called philosophy in India. Right from W.T. Stace to Anthony Flew have very blatantly declared that what passes for philosophy in India is nothing more than religion or else a bundle of mystical proclamations. I take these disparaging remarks as the starting point to assess how far we have been fair to our own philosophical tradition in the colonial and post-colonial phases. Most often we have reacted to these observations of the Western philosophers in two extreme ways. Some scholars have capitalized on this libelous attitude and tried to allure the Western mind by presenting the Indian philosophical tradition as esoteric, spiritual and mystical in nature; and thereby giving credence to the allegation that India never had a philosophy in the proper sense of the term. This has done immense harm to a rich and diverse intellectual tradition. But the other reaction coming from the philosophers trained in Western way of thought is no less damaging. Those of us trained in Western analytic tradition have always felt uncomfortable about the application of the term philosophy, to what is known as darsana in Indian tradition. Matilal rightly points out that for such academic philosophers darsana has a "practical end in view, namely, ultimate freedom from duhkha and to that extent the discipline called darsana is saturated with soteriology and religious fervour, while academic discipline is devoted to pure pursuit of knowledge, thought, analysis of concepts and meanings, etc.' So this group of scholars has been mostly obsessed with convincing the Western world that our brand of Realism, Idealism or Phenomenalism is very much in line with the Western counterparts. Sometimes their distrust for the tradition is so deep that they prefer to bend backwards to prove that our classical systems of philosophy had nothing to do with intuitive experience, soteriology and spirituality. In the process they have produced some excellent works in which the analytic and dialectic acumen of Sankaracarya or Nagarjuna or Cangesa are brought to the notice of the Western world. It should be admitted that such salutary efforts have largely been responsible for creating a positive attitude about the Indian philosophy. But most often the other side of the fact is suppressed. These works seldom mention that these great ancient thinkers also talk of soteriology and in some cases about the existence of God. It is really a matter of regret that we have seldom displayed courage to claim that our philosophical tradition always had a place for other elements along with systematic rational analysis. A peep into our philosophical tradition reveals that our ancestors were concerned about all that is claimed to come under the so-called academic discipline, yet they did not mind going beyond this limit. In our philosophical tradition we do not come across a sharp dichotomy between facts and values, theory and practice. 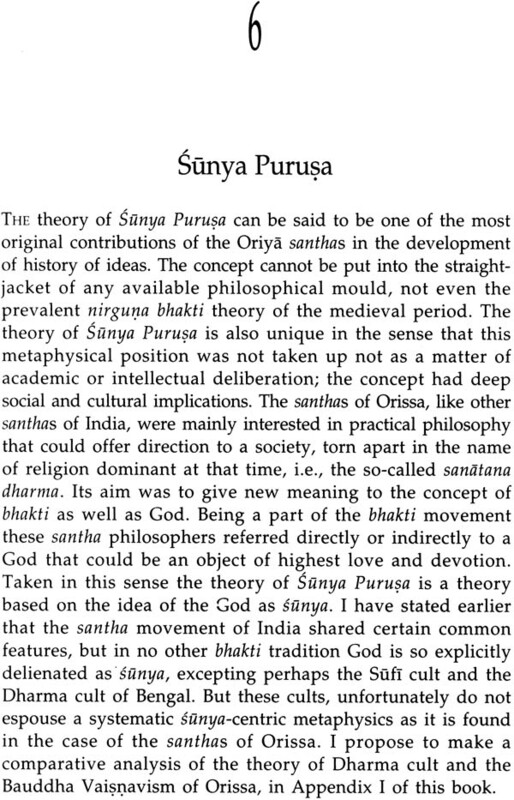 That is why a purely metaphysical school of thought like Sarnkhya could be aligned to a practice-oriented system like Yoga; an epistemology-based critical system like Nyaya could be aligned to the Vaisesika system, primarily concentrating on metaphysics. I strongly believe that one need not feel helpless about the way our philosophical tradition has been shaped. Rather the close link between life and philosophy should be seen as a point of strength of our philosophical tradition, never a weakness. There are very few philosophical thoughts in the world that have the potentiality to be translated into a way of life, as it is the case with philosophy or darsana in India. At the same time I do not intend to claim that Indian philosophy is purely non-rational and non-academic in nature. There are the elements of high-level speculation as well as rigorous logical and conceptual analysis. But what makes this philosophical tradition distinct from its Western counterparts is the absence of a clear-cut line of demarcation amongst these elements. Unlike Western philosophy "reason" alone does not occupy the central position in the philosophical systems of India. The elements of intuition, experience as well as rational analysis are balanced in a constructive way. The tradition, in general, aims at one goal, i.e., the elevation of life from the material levels of existence to the level of spiritual fulfilment. Unfortunately, Western philosophers have often failed to appreciate this attitude in the Indian philosophical tradition. So it is seen as a form of mystical rhapsody. I quote W.T. Stace to help us understand their way of misinterpreting a philosophical heritage. He remarks that as "the roots of Indian thought lie in anxiety of the individuals to escape from the calamities of existence"! it can at best be called a religion. Such a type of thinking, in his esteemed opinion, is not a rational enterprise. It is nothing more than "passing out of a realm of thought, reason, and philosophy into the dream and shadow land of ... mysticism, where the heavy scent of beautiful poison-flower drugs the intellect and obliterates thought in a blissful languorous repose. »s Ironically, Stace makes such quotable remarks in a book that also includes Plato's mystical interpretation of the highest Reality. To answer Stace and their ilk we have to first of all understand what the term "mysticism" connotes. Mysticism, in the West, is often taken to mean something overwhelmingly God-oriented or else something dealing with the occult. But the metaphysical foundation of Indian mysticism, if we call it mysticism at all, is centred upon the belief expressed as "All is One; and One is all"; and ultimately this One transcends all categorial as well as conceptual discriminations. This theory is eminently portrayed in the Upanisadic, Advaitic and Buddhistic philosophies. Yet all these systems are also based on rigorous rational analysis. The conception of an ineffable absolute reality is so powerful that it continued to be a dominant metaphysical trend of philosophy from thirteenth to eighteenth century. If this is mysticism, then we need not be ashamed of it. We should rather be proud of the type of mysticism our culture encourages. It is a mysticism that allows a thinker to transcend all categorial limitations in the quest of the ultimate truth. The basic purpose of Indian thought is not to arouse dogmatic thought in God but to awaken and inspire a man towards the quest of the ultimate reality and truth. If it is a form of religion, then it does not surely mean theology but spiritualism. 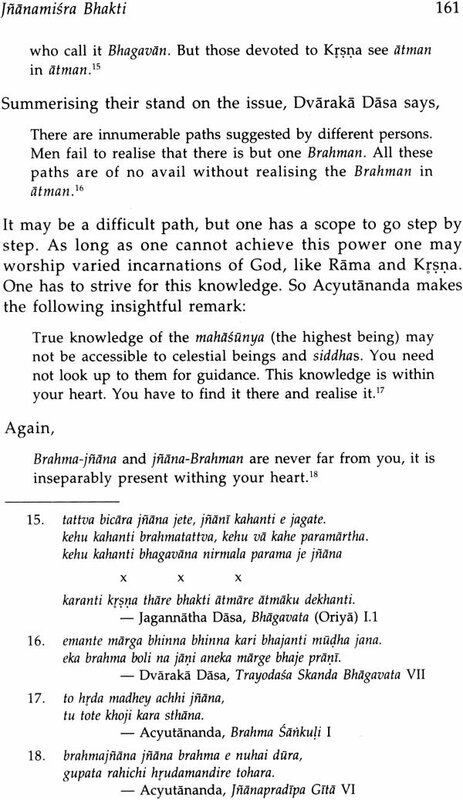 Contrary to the widespread but mistaken view that in order to lead a profoundly religious life one has to believe in God, the Upanisads as well as the systems like Advaita and Mahayana Buddhism teach with unrelenting rationality that profound religious life can only arise out of transcending dualism including that of theism versus atheism and of immanence versus transcendence. If such concern is labelled as religion there is nothing more to say. Working on this project for me was like setting out on a voyage from the mid-sea to the terra firma. How and why I reached the uncertainties and tumults of the mid-sea, I do not myself know. It must have been a sort of frenzy that forced me to leave the shore as quickly as possible. The culture of the post-Independence period oriented me to act as a rootless mirror to reflect all that was happening philosophically in the Western world. I basked in the glory of the acquired knowledge without ever realizing that I have to find out my own roots so that I do not have to float aimlessly. My work on Orissan philosophy and culture is thus a reverse journey. My initial attempts to delve into the Santha (bhakti) literature of Orissa that spanned almost 400 years (fifteenth to nineteenth century CE) really amazed me. I came across a philosophical tradition that is religious in letter but secular in spirit. Here is a philosophical tradition that accommodated the concept of God. But it is no ordinary personal God but a symbol of Sunya Purusa  the formless, non-qualitative, inconceivable principle. Here is a tradition that argues that being sudra is an advantage, and one must approach the Almighty with a sense of humility that characterizes the sudra class. It is also a tradition that rejects all the trappings of religion and believes that there can be no God outside one's own body and mind. I realized that unraveling such a tradition was no less adventurous than understanding the intricacies and technicalities of philosophy of language that have preoccupied me so far. So with a sense of admiration and awe I undertook this study never bothering about what others have to say about the philosophical proprieties involved in under taking such a study. India has an extremely rich and varied cultural heritage Innumerable and diverse cultures grew and flourished here during its long history. In fact, it is the variations that add to its richness and strength. Almost in every generation and in every part of the country, unique and original thoughts have come forth that have made Indian culture so very fascinating But when it comes to recording the history of this great tradition for the modern generation our scholars have faltered there seems to be a lot of bias and lack of objectivity in their projections. As a result the culture and history of those parts of India that are considered to be backward are totally forgotten. Orissa is one of such backward regions. Hence, it is natural that the contribution of Orissa to the enrichment of Indian cultural history has never been given its due. There was no dearth of scholars in Orissa who wrote in English, but they were never taken as erudite enough to be consulted. The result is painful and humiliating for any sensitive person eager to know about the culture of this region. A look at any encyclopaedia or any compendium on cultural and philosophical heritage of India reveals that the culture, philosophy and literature of Orissa have been pushed to the oblivion. This land, like other parts of India, has witnessed the rise and fall of varied religious and spiritual forms. But it has absorbed and amalgamated these streams of ideas to produce a very unique kind of religio-philosophical tradition. This land has a great literary history of its own. It has produced a great history of ideas that can add to the pride of Indian tradition. This land has a great literary history of its own. It has produced a great history of ideas that can add to the pride of Indian tradition. However, all these dimensions of this culture have been simply overlooked. I take here as examples two of the most consulted works on concepts and ideas related to India to prove my point. The Cultural Heritage of India, one of the most authentic encyclopaedic book on Indian culture, makes no mention of the Vaisnavism of Orissa that stands apart from all other forms of Vaisnavism. One is likely to be equally frustrated if one tries to gather some objective information from the Encyclopaedia Britannica. 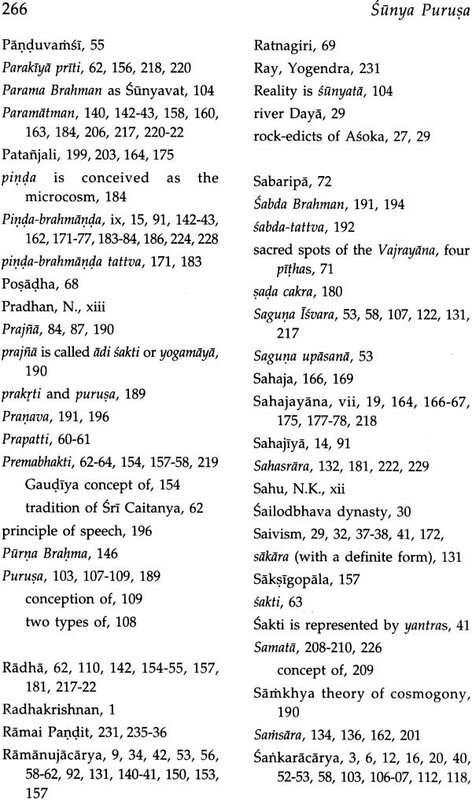 Though it admits the existence of Oriya as an independent language, nothing is mentioned about the philosophical and bhakti literature it produced in this vernacular language. With much difficulty one may find the name of Jagannatha Dasa, the composer of Srimad Bhagavat in Oriya. But this great Santha-philosopher is mentioned merely as a disciple of Caitanya, which is again a misrepresentation of facts. "Pancasakha," the famous group of five santhas (including Jagnnatha Dasa), who brought about a cultural renaissance in the areas of Oriya bhakti tradition, are just glossed over in most of the compendiums on the cultural history of India. When one comes to the religious history of India, it is all the more frustrating. The theories about the genesis and development of the diverse sects of Tantric Buddhism, like Vajrayana and Sahajayana, can be taken here as a case in point. All the available modern literatures on Tantric Buddhism keep repeating that such Buddhist schools were nurtured in Bengal during the Pala dynasty. But scholars seem to be unaware of the Bhaumakara rulers of Orissa who used the epithet Parama Saugata to indicate their Buddhistic affiliations. In fact, Orissa has innumerable viharas and temples dedicated to the gods and goddesses of Vajrayanic order, mostly constructed during the Bhaumakara rule. Buddhism received royal support in Orissa as late as seventh century as is evident from the travel accounts of the Chinese and Tibetan pilgrims. It is all the more surprising that the contributions of Orissa in nurturing this new form of Buddhism is never acknowledge despite the fact that Udra or Uddiyana (which is the name of the ancient Orissa) has been identified as one of the pithas (centres) of Tantric sects of Buddhism. It is unfortunate that such misinformation is still dished out even after such pioneering works like Modern Buddhism and its Followers in Orissa by N.N. 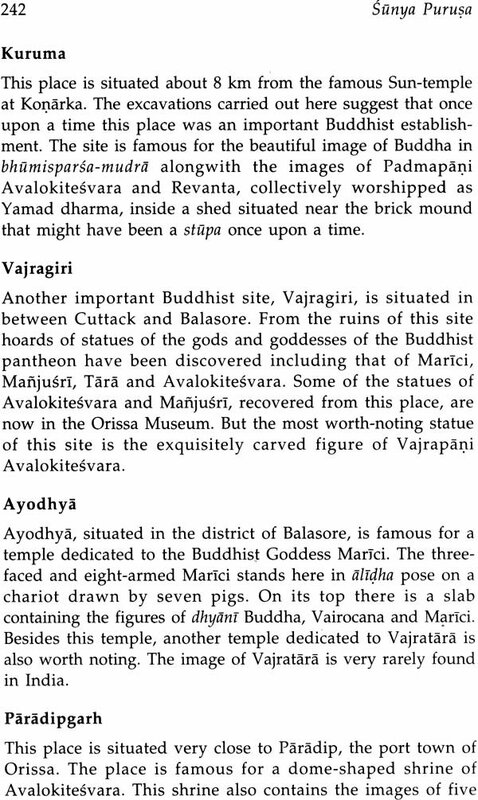 Vasu published as early as 1919; even after the archaeological excavations carried out in Lalitagiri, Udayagiri and Ratnagiri of Orissa had conclusively established by 1869 the existence of the Buddhist viharas of the Vajrayanic order. Perhaps there is no corner in Orissa where images of Buddha and Buddhist gods and goddesses are not found. On the other hand, scholars are happily oblivious of the fact that very few archaeological evidences are there in Bengal in support of the claim that the Pala dynasty was the only dynasty to nurture Tantric Buddhism in that belt. Thought such pioneering works like Antiquities of Orissa by R.L. Mitra (1913), Historical Geography of India by Cunningham (1924), Buddhism by Monier-Williams (1889), History of Orissa by R.D. Bannerjee (1930) and A History of Orissa by W.W. Hunter were published long back, nobody wants to check the intimate relation between Buddhism and the cult of Jagannatha of Orissa. The existence and impact of a cult can be judged by posterity on the basis of archaeological and literary evidences. In case of Orissa, besides abundant archaeological evidences, the vast literature produced during thirteenth to nineteenth century proves the impact of the sunya-centric metaphysics of Buddhism on Oriya literary and philosophical tradition. But this aspect of its history is kept under the wrap due to inexplicable reasons. Similar in the case with the history and the influence of Natha cult. There is no mention about the presence of this cult in Orissa. Yet two of its important theories  panda-brahmanda tattva and kaya sadhana  are very important components of the philosophy of the Oriya santhas of the medieval age. The same attitude is noted when it comes to the contribution of Orissa in the development of the Tantric philosophy, even if Kalika Purana, one of the important works of this school, mentions Udra or Orissa as its primary pitha. My study of different authentic works on these areas made me wonder why such a treatment has been meted out to such a rich culture. It is because Orissa is economically a backward state? Or is it because of the fact that Orissa came under British rule very late? Or is it simply because of the apathy of the people of Orissa? The answer is difficult to pinpoint. 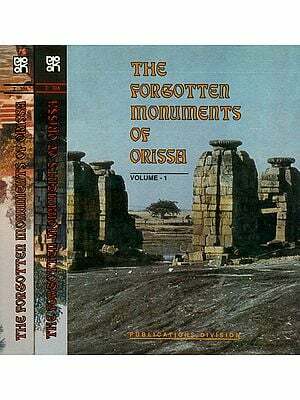 Despite such remarkable publications as History of Orissa by H.K. 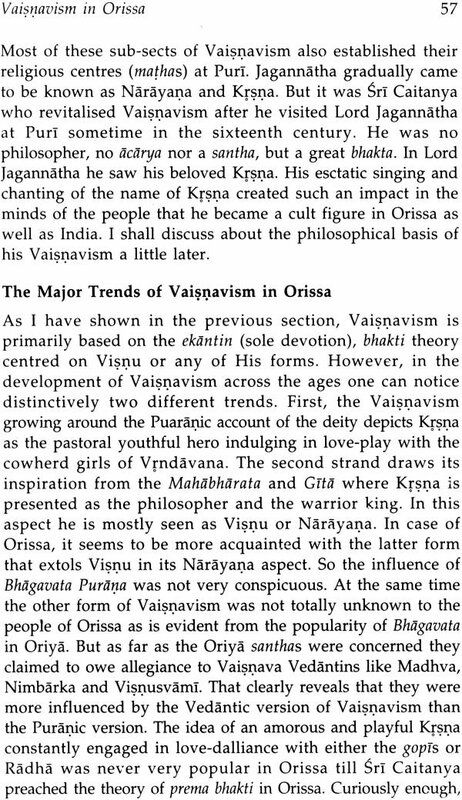 Mahatab and Buddhism in Orissa by N.K. Sahu and in recent times such books as The Cult of Jagannatha and Regional Traditions of Orissa by Eschmann, Kulke and Tripathi, the contributions of Orissa in the field of culture are yet to receive significant notice. My desire to take up the project on the Orissan santha tradition is partly driven by this sense of hurt and neglect. Once I started working on the project I realized enormities of hazards associated with any study in this area. 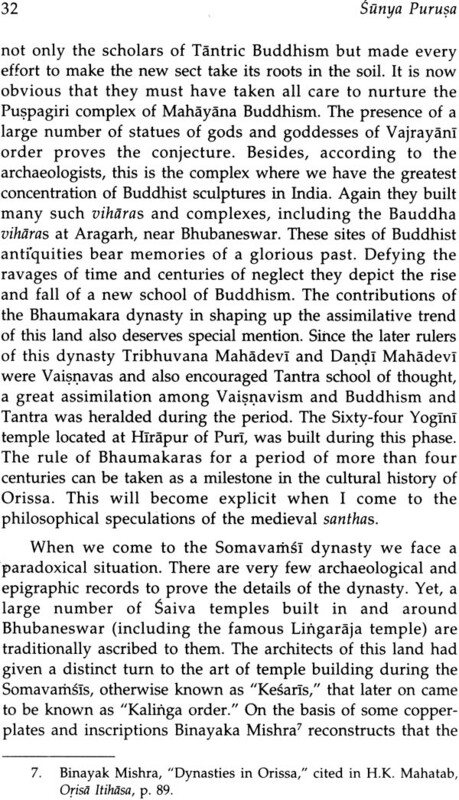 The bulk of the works of these Oriya santhas are voluminous. Some of them are not available I print. But the most important problem I faced was in finding properly edited versions of these works. Most of the works of these santhas are published by Dharma Grantha Store, a publishing house that caters to the needs of the rural people with very cheap editions. These people are no scholars. These books are in demand as these simple people still draw solace from works of the santhas that are mostly composed I lyrical forms. So most of the scripts are not properly edited or documented. There may be variations in the readings of the texts. Only a miniscule portion of such voluminous literature in properly edited. So a scholar working on the area is likely to be confused about the authenticity of the use of certain crucial words. Moreover, a lot of terms with heavy religious and Tantric symbolisms were in vogue during the period. With the lapse of time and lack of interest of the scholars of the subsequent period, these symbols have become all but decipherable. Santha Sahitya Sabda Kosa, a pioneering work by Ratnakara Chainy, is the only available work dealing with the lexicon of the Oriya santhas. This work is of immense help to scholars working in this area. But that is not enough. Besides, most of the writers who have done serious work on this area have approached the subject from a literary rather than philosophical angle. However, such invaluable books like Santha (Bhakti) Sahitya by C.R. Das and Orisare Nirguna Sahityara Dhara by N. Pradhan and Orisi Vaisnava Dharma by K.C. Mishra are of enormous help to the scholars uninitiated in this line of thought. Delineating the philosophical positions from this vast and comparatively obscure philosophical literature of the period was a real challenge for me. But I have tried to offer a consistent account of a very powerful philosophical tradition for posterity, as I fear the tradition may die a natural death with the spread of technical education and the all-engulfing culture of consumerism. However, it was not very easy on my part to make up my mind to tread on this unfrequented path. I have no hesitation in admitting that I imbibed interest in the theme from my son Priyadarshi Patnaik, Associate Professor of English at I.I.T. Kharagpur. While helping him translate some of the poems and lyrical pieces of the literature of this genre I was exposed to this wonderful philosophy. He always felt that I as a scholar of philosophy must do justice to this unknown facet of the medieval bhakti tradition of Orissa. However, my typical training in technical philosophy always stood in my way. My last shreds of hesitation vanished with the necessary nod from Professor Daya Krishna, the renowned philosopher and my role model. His dynamism helped me to get rid of my initial vacillation about working on a topic that might not be considered academically suitable for a scholar of philosophy. It was Professor Daya Krishna who asked me to write a paper on this topic for his journal. Since then I have set out on a journey on this arduous path. The passion was so demanding that I had never got time to think even about my personal problems of very serious dimensions. I hope that the work will be able to generate interest of the readers in a culture that had remained in oblivion so far.